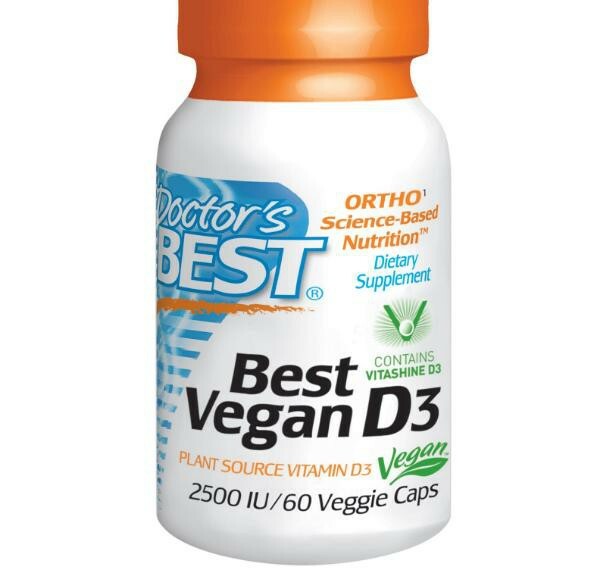 Best Vegan D3 features a plant source of vitamin D3 (cholecalciferol), the superior form of supplemental vitamin D. Vitamin D3 is beneficial for supporting bone health, immune wellness, cardiovascular function, and for cellular gene regulation and metabolism. 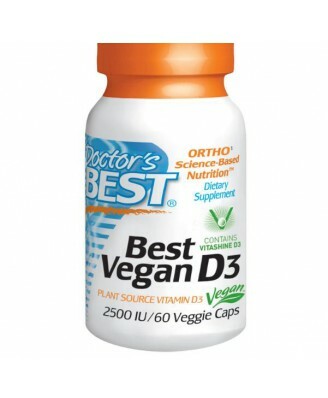 The Vitashine D3 is Best Vegan D3 is sustainably harvested and registered with the prestigious UK Vegan Society. 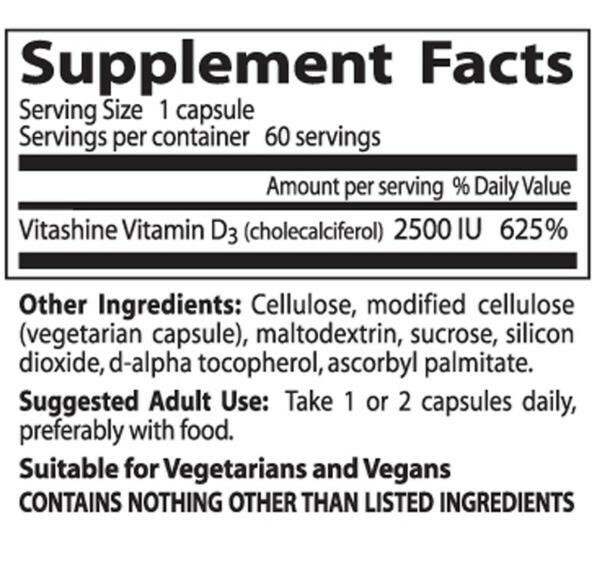 ¹A nutrient naturally built into the body's chemistry. Cellulose, modified cellulose (vegetarian capsule), maltodextrin, sucrose silicon dioxide, d-alpha tocopherol, ascorbyl palmitate.